Oh my gosh, I have so much I could write about this amazing night, but in the interests of this not becoming War and Peace I will try and keep it relatively brief. 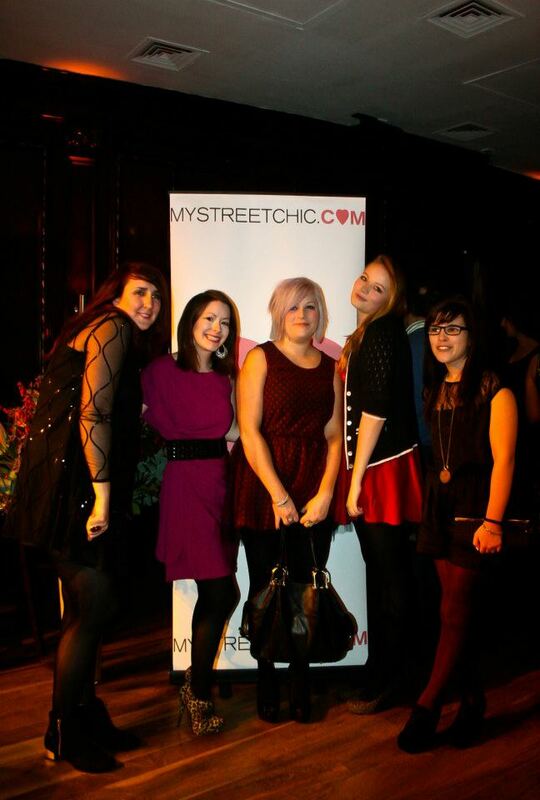 On Friday, after what seemed like a long old wait of excitedly counting down the days it was finally time for the My Street Chic bloggers Christmas Party. I was so looking forward to seeing all of the ladies from the South West Bloggers Meet again, along with meeting some new faces and seeing enjoying the great night My Street Chic had planned for us. I travelled up with Laura on the train again (so nice to meet someone you can gossip with so easily it makes long train journeys disappear!) and met Kim and Ayden at Bristol Temple Meads. It was a-mazing to finally meet Ayden as we talk so much outside of blogging and now I can finally put a face and a Scottish accent to our millions of text messages! After meeting all of the other ladies (and consuming a lot of perinaise sauce) at Nando’s we had a mooch along Park Street and went back to the hotel to get ready, and listen to the party playlist I had prepared the day before (Quote from Ayden: Is this your playlist or is it just Now 28?) We all gathered in Kim’s room and Steph took some group photos of us which you can see on her blog post here. We then headed up to Java for the event, and there were so many people already there! Was really nice to see the lovely Gina from My Street Chic again (more on how brilliant she is later!) and we got given a goodie bag with some treats in and a vodka cocktail. (We thought it was just one cocktail, but after a couple more, My Street Chic’s lovely web guy gave in and gave Ayden a pitcher – you can see Ayden and our pitcher further down the page!) 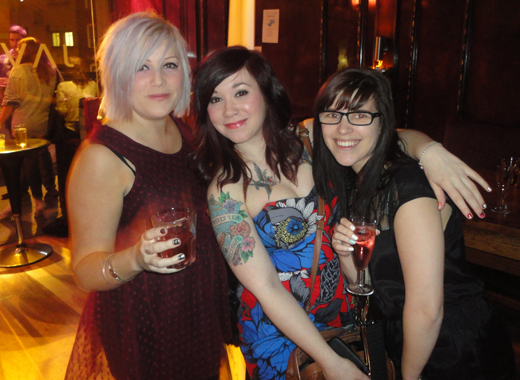 We were then ushered into the Boohoo fashion show where they showcased loads of great looks for the party season. I was in the second row so didn’t get any good photos but you can see all the outfits on the My Street Chic Facebook here (along with lots of other photos!) After a couple more cocktails we also went back in for the second half of the fashion show, where photos from the My Street Chic gallery were shown on the big screen for people to give a Wooo or a Nooo too – one of my photos was up there and luckily I didn’t get too many nooo’s – Lyzi won the competition and took home a lovely bunch of flowers. Lyzi with her winners flowers! After the event we headed back to the hotel, and poor old Ayden was hit by what we now know was acute food poisoning! She was so poorly that the next day we had to take her to Bristol Royal Infirmary so they could give her lots of medicine to make her well enough to travel back to London (and then Glasgow the next day!) Actually – I missed out some bits in between getting back and going to hospital the next day, which were, Kim giving me and Abby a whistlestop tour of Bristol’s graffiti, nightlife and kebab shops, me realising I’d left my camera at Java, me realising a shoe had fallen out of my bag on the way back from Java, and the amazing Gina from My Street Chic, without whom this blog post would not have been possible, finding my camera and delivering it to me the next day! Thankyou Gina! All in all an absolutely amazing night – a lost shoe, a lost camera, a found camera, a hospital trip, a lot of cocktails and a long train journey home! 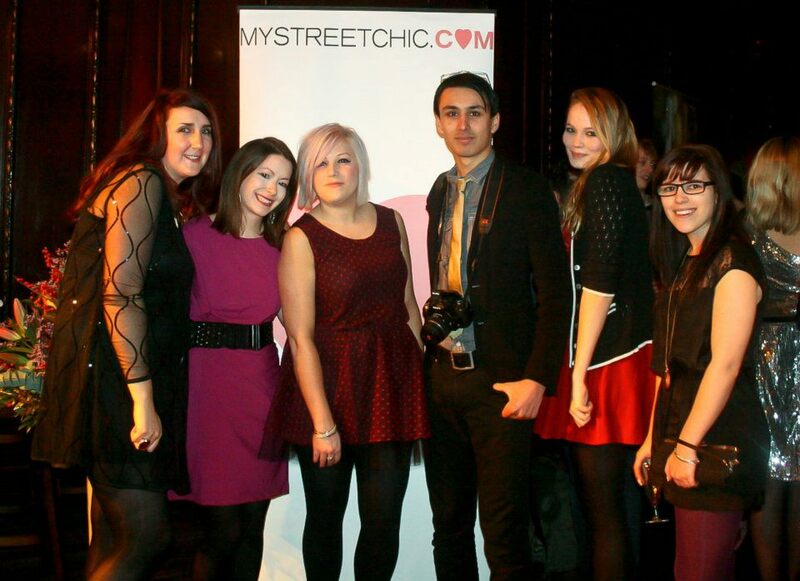 A huge thanks to My Street Chic for putting on the event with help from Bee and Lyzi, and to all the lovely ladies who made it so much fun. A special shout out to Ayden too, for being such a trooper despite being horrendously poorly, and to Abby for being such a massive help in the morning when I was being a useless stresser-outer and didn’t know how to help Ayden! PS – Sorry, that wasn’t that brief was it?